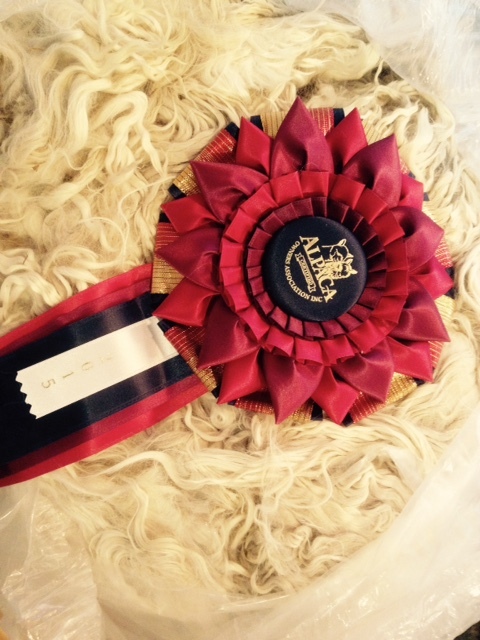 2015 All Suri Fleece Show Judge's comments: "Superior fleece! So fine, dense, lustrous & highly aligned!!" 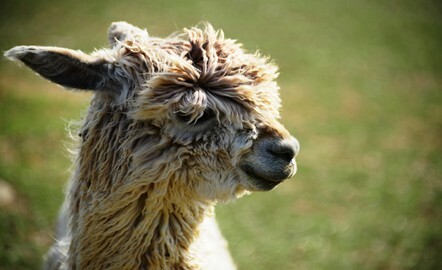 Samara is a double blue ribbon fleece winner and a Champion producing female. She is a good buy at this price. She is open at this time. If you'd like to select a service sire for her from our herdsire listings, let us know. 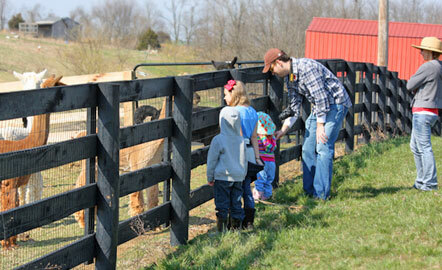 Samara is a sweet one with easy birthing, great milking and big healthy babies. 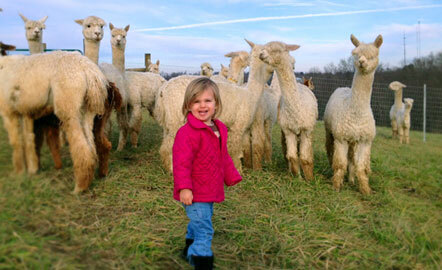 She is hands down an 'easy keeper' and a good candidate for a first time alpaca owner. 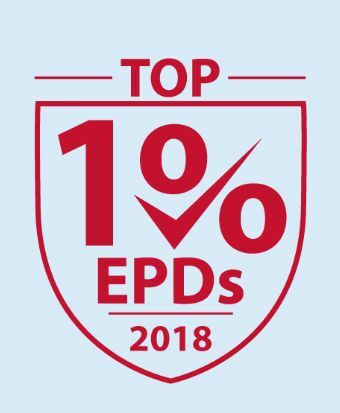 EPD ranking for 2017: Top .8% MSL (Top 1%), 1.7% FW and 6-8% ranking for fineness. 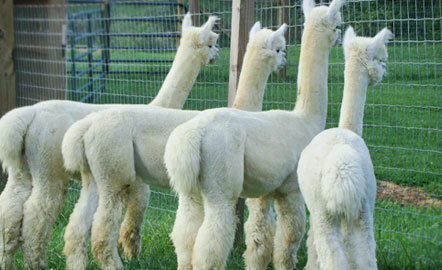 Talent is a 2X Judge’s Choice and 3X Champion Herdsire who continues to rank FIFTH in the nation in the EPD Mate Selector Tool, when selecting for a combination of Mean Staple Length, Fleece Weight and Fineness (AFD) in the Beige Suri Male group. Talent's follicle density is an exceptional 71 follicles/SQ MM! According to Dr. 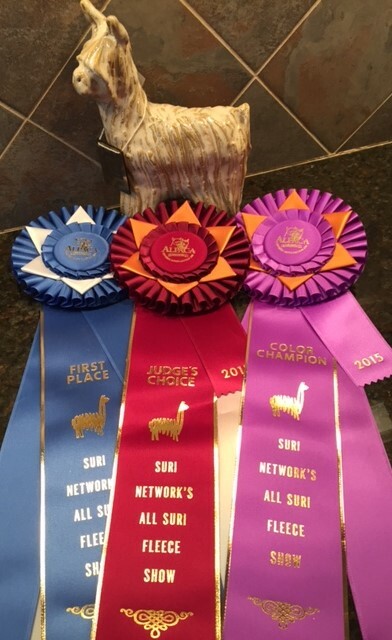 Norm Evans: "Talent rates in the 3 or 4 most dense Suri males that I have evaluated and he is very uniform..."
Talent was the Judge's Choice winner at the 2015 Suri Network's All Suri Fleece Show. His fleece placed tops out of 209 entries and he did it with his second fleece! 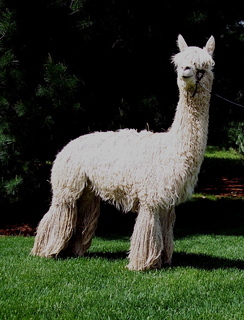 As noted by the judge: "Superior Fleece! So fine, dense, lustrous and highly aligned!" 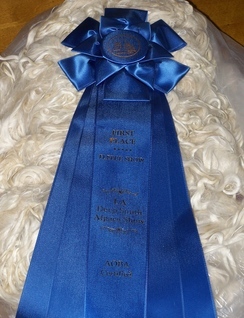 Talent's skirted show fleece weight of 7.2 pounds annualized, earned a score of 15 out of 15 points at the 2015 All Suri Fleece Show and AOA Nationals. His total blanket and neck shear in 2015 was a whopping 8.7 pounds annualized. 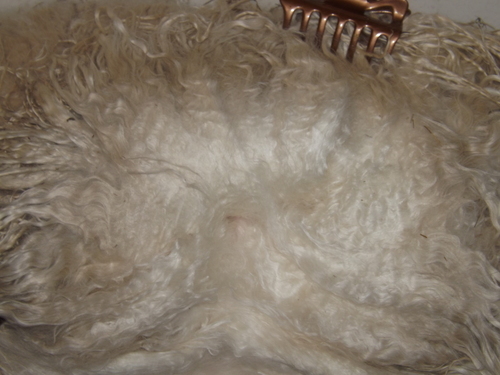 His 2016 fleece also won a blue ribbon at the Suri Network Fleece Show earning 15 out of 15 points for fleece weight, along with high marks for fineness and handle. 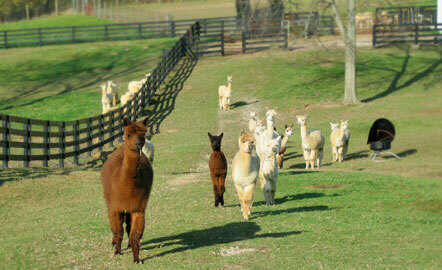 In fact, fleece judges consistently comment on density, fineness, luster, lock style and uniformity. 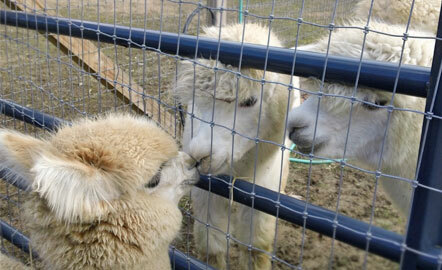 He is a fleece machine! Talent’s first offspring were born in September 2016, proving his ability to produce excellent whites and lights, and to pass color. Talent’s Accoyo Zenale, Talent’s Bramante and Talent’s Monet have already won awards at The Futurity as Juvies and at several fleece shows. In 2017 Talent and our stud female, Raggy Doll, produced Talent's Toscanini and we are very excited about this boy! Raggy Doll, the dam of Eldora's Maestro by Rockstar is a proven champion producer. Talent's biopsy stats of 71 follicles/SQ MM, excellent fineness and extensive show record, combined with his all-star Full Accoyo pedigree, brings a lot to the table for any female. 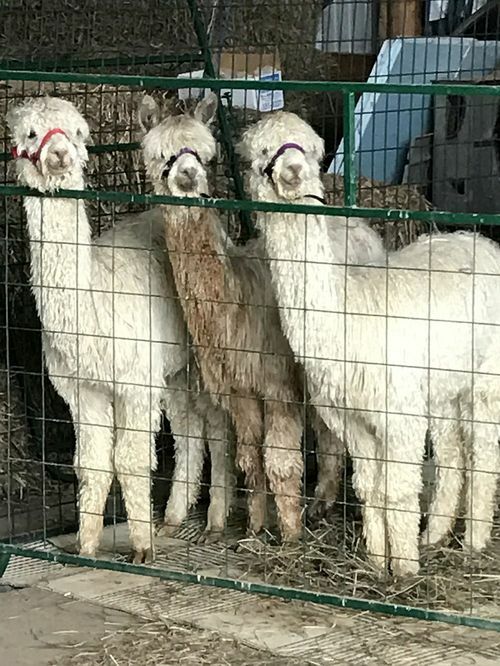 Talent has so many good things to give to the Suri Alpaca industry including top notch EPDs, density, and reproductive vigor with good size and early maturity. His phenomenal follicle density and shear weight, while carrying excellent fineness is his best contribution to the commercial fiber industry. Contact me for additional information. 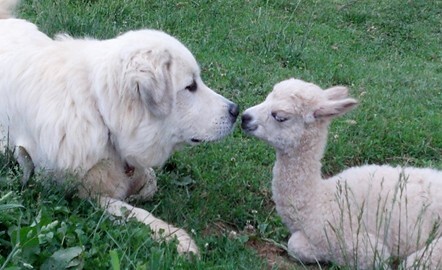 Limited breedings available. SIRE AWARDS: Herdsire of the Year with offspring who have earned 52 championships and uncounted blues.